Well what a disappointment. After three weeks of wrestling with the Autotecnica Gauges that I bought, I’ve called it a day. They just don’t work as one would expect and will be ripped out of the car and returned for a refund. There dummy has been spat ! These gauges certainly looked the part and were of a reasonable price, however their operation, reliability and accuracy were their ultimate failure. The installation instructions were poor to say the least, just a single piece of paper with rough as guts chicken scratching’s as a guide how to wire them. This was not a great start. There was no information (or clues) regarding wire gauge, so after measuring less than 100mA per gauge plus sender I decided it was safe to use 28 gauge (0.25mm^2) wire. Looms were made that connected the oil pressure sender (electronic), boost pressure sender (electronic), coolant sender (resistive) and EGT probe (thermocouple). Where the wires came close to the engine block they were sleeved in fibreglass everywhere else heat shrink. In all the job looked nice. 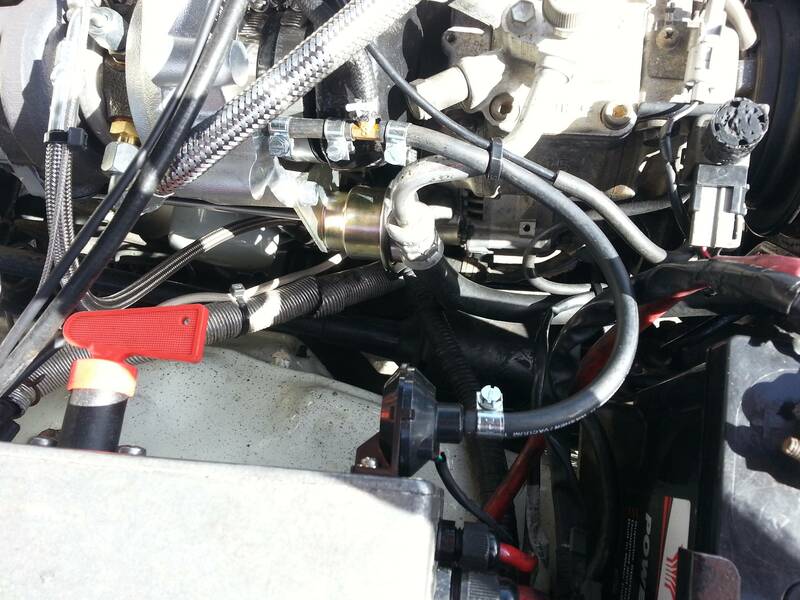 However the Boost pressure gauge measured 3 psi low at full boost (~10psi) which was at least 30% in error. Results were confirmed using a trusted mechanical pressure gauge. The EGT gauge would every once in a while stop reading anything and sit there and sulk. The probe was tested by my Agilent multimeter that could read K-type thermocouples. The water gauge worked perfectly, the oil pressure gauge well that was possessed and did its own thing. If you watch the next video you’ll see what I mean. So that left me with a working water gauge (nice to have), under reading boost gauge (should have), faulty EGT display (shall have) and weird oil pressure gauge (nice to have). A total score of 1 out of 4 with all critical systems in the red. Oh well that will learn me for being cheap. With luck I’ll get that refund, these gauges certainly did not work as advertised and were not fit for purpose. I am also very glad that I yanked them when I did. I borrowed my local car mechanics four post hoist to get at the oil pressure sender when it fell out in my hand. It turns out the brass fitting I’d bought for the oil pressure sender had gone brittle and fractured where it came out of the block. Nothing an easy out couldn’t rectify, but I’m now very glad this came out in my hand rather than at 100kph on the freeway spraying hot oil over the wheels, engine bay and brakes. A major disaster averted. So for now I’ve have settled on a pair of trusty ol’ VDO mechanical gauges, shouldn’t look too bad in the pod. The pod came with 52 -> 60mm adaptors. 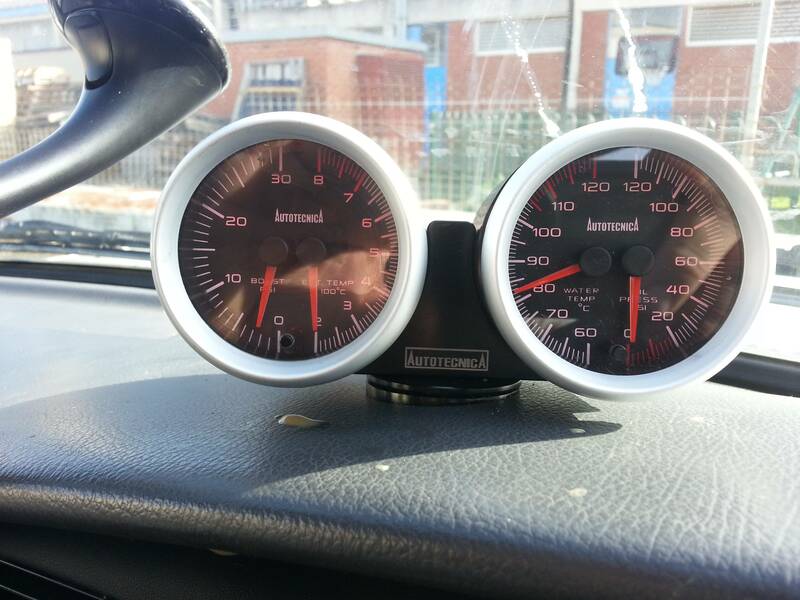 These gauges are a little plain when compared to my previous gauges, but functional is what I’m after at this point. That at least means I can monitor EGT and Boost properly and make sure that this new engine is looked after. With these gauges being partially mechanical it will be interesting to bring pipe and heavy wires in from the engine bay. I also laugh when you have to marry imperial with metric. 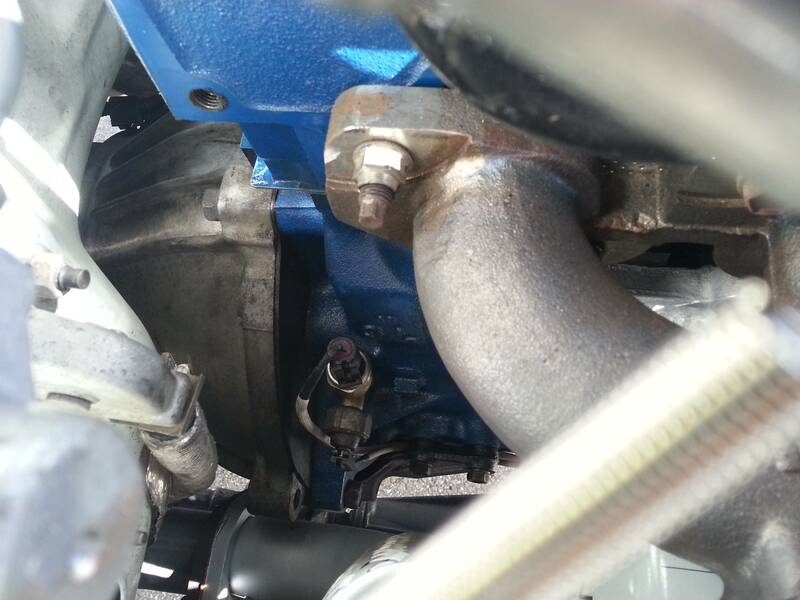 The DTS turbo kit dump pipe has a metric O2 sensor port into which I screw the EGT probe. My previous Chinese EGT sensors were thin-ish and came with a 1/8 NPT 27 tpi thread, so I was lucky enough to be given a steel pipe reducer that fitted nicely. 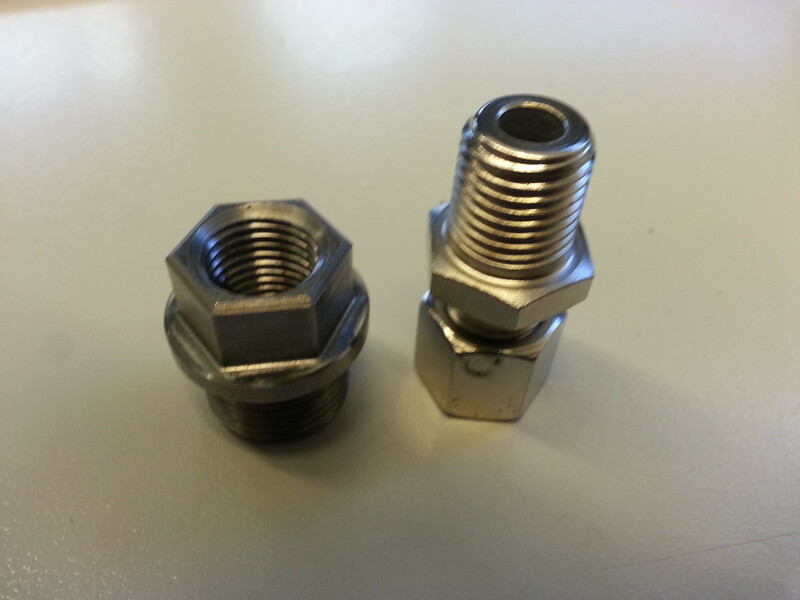 Of course VDO don’t like the small probes and have supplied a much larger unit with a 1/4 NPT 14 tpi thread. So after a lot of searching I found that DTS sell the adaptor (fancy that, on the left) and their HQ was here in Adelaide. 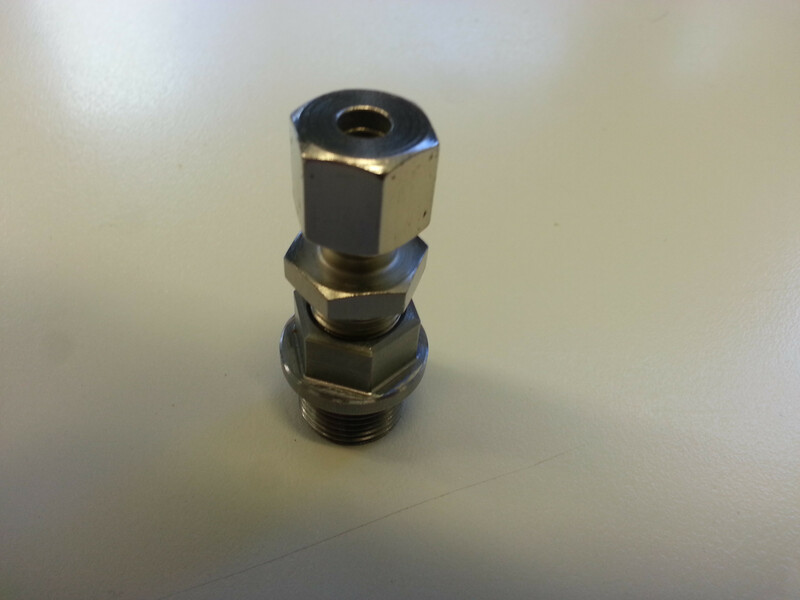 I’m certainly glad I found this little doodad it saved me from having to buy/beg/borrow or steal a 1/4 NPT 14 tpi tap ! I spoke too soon !